and he set out, not knowing where he was going. In the first book of the Hebrew Scriptures we find a collection of stories about Abraham, the patriarch of Israel. Most of these stories focus on Abraham’s faith and obedience to God. However, like most of the people we encounter in the Bible, Abraham has a flawed character. He is, as we say, “all too human.” Yet, in spite of this or perhaps because of it, he is destined by God to have a major role in “salvation history.” In each of the stories of Abraham, it is God who is the principal actor. 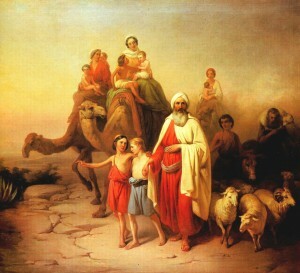 You are invited to join us on Wednesday mornings as we follow Abraham on his “journey of faith.” We meet in the library from 10:30 to noon for a time of lively discussion and fellowship. During this season of Epiphany, I encourage you to make the study of scripture part of your spiritual life.